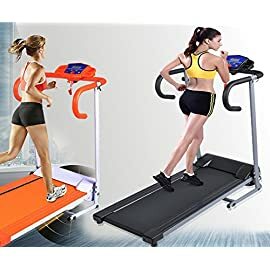 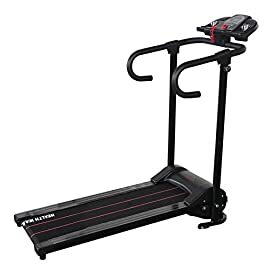 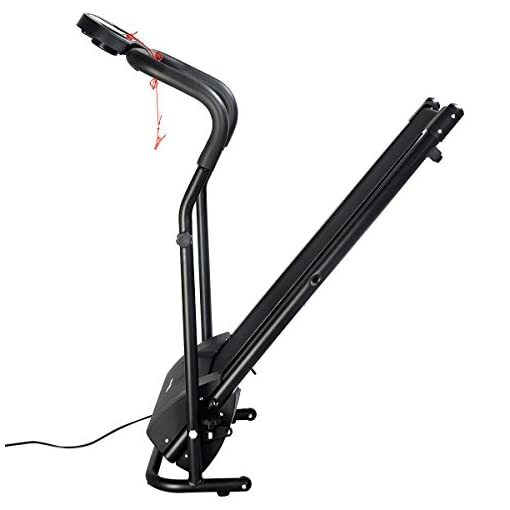 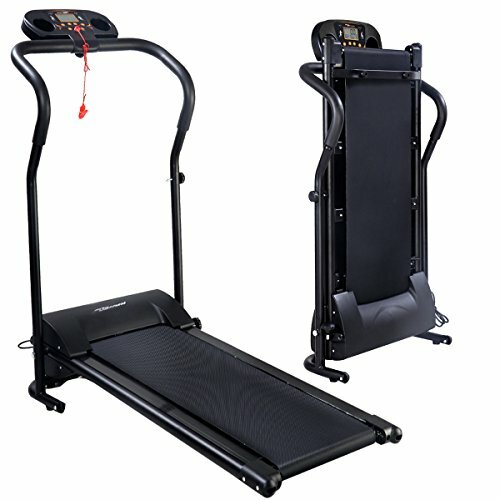 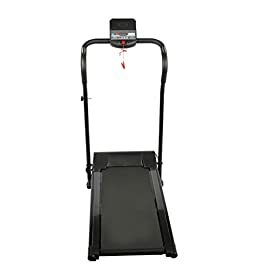 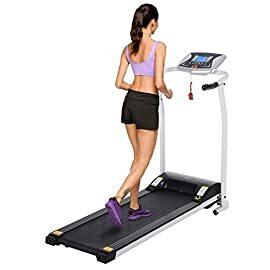 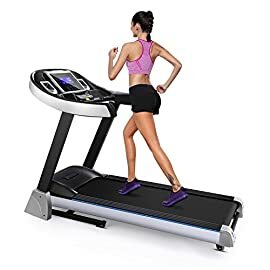 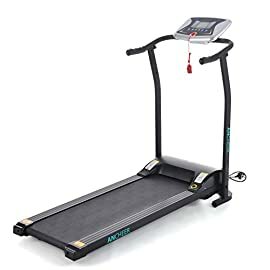 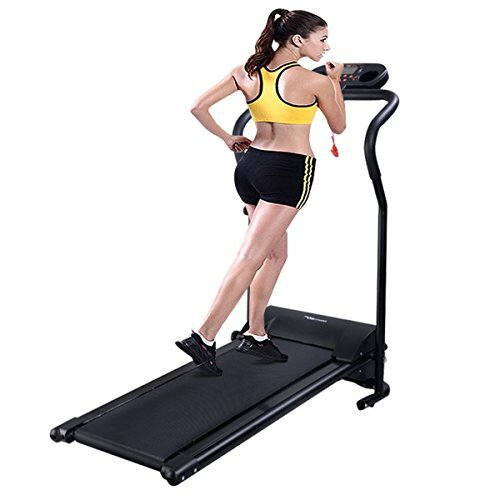 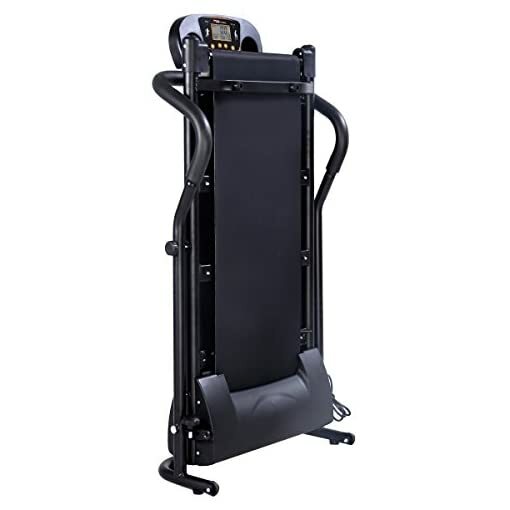 HOME USING — Home treadmill with top-quality drive motor & with a 14” x 39.4” (width x perimeter) running surface. STURDY AND DURABLE — Steel frame creates a sturdy structure. High quality construction surpasses the fitness industry standard. 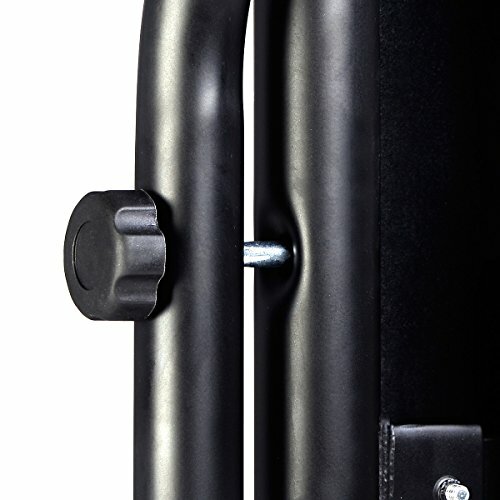 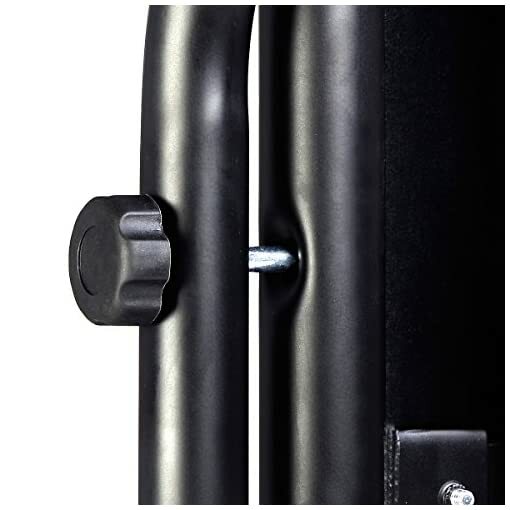 SAVE SPACE — Simple and compact space saving design that folds down for storage and contains rolling wheels on the bottom providing simple transport. 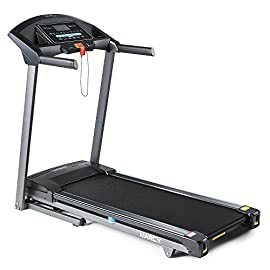 – Speed: 1.0KM/H – 10.0KM/H. 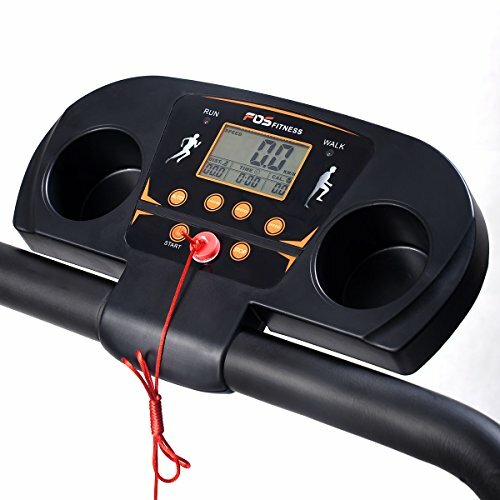 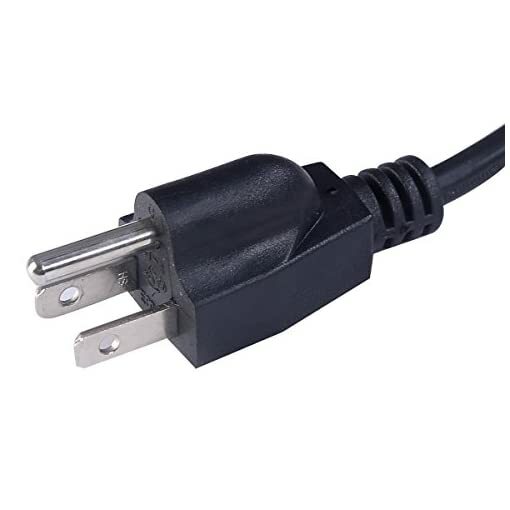 LARGE LCD MONITER — Large LCD monitor displays time, speed, distance, calorie, level. 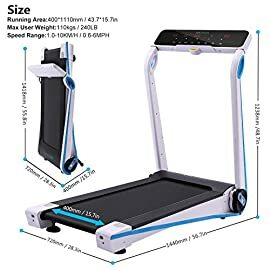 EASY ASSEMBLE — Simple Assembly of the portable treadmill is required.